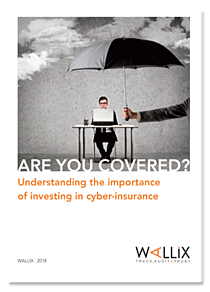 Do your IT teams understand the impact of investing in cyber-insurance ? Of all reported data breaches, the vast majority are the result of insufficient cybersecurity practices. Is your organization prepared? It's no longer a question of if, but when your organization will face a cyber threat. Privileged Access Management is your first line of defense in ensuring against costly, destructive data breaches. Download the whitepaper to learn more!